Schlotzsky’s started with Don and Dolores Dissman of Austin, Texas founding a company with only A sandwich in their menu. But this turned out to be THE sandwich. “The Original” is Schlotzsky’s first and signature sandwich made of mixed meats, cheeses and black olives on a freshly made toasted bun that sky-rocketed Schlotzsky’s from a mere Austin shop to a globally recognized brand. The company now has more than 350 company owned and franchised store locations nationwide. Plans for further expansion to other locations and foreign countries are underway. With that growth, Schlotzsky’s menu evolved as well. From their signature dish, the menu expanded to include paninis & wraps with low carb options, freshly tossed salads and hearty gourmet soups. 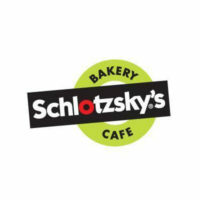 Schlotzsky’s has been feeding people with superb sandwiches for over 40 years and to-date they remain committed to the quality of products and services they offer. With Schlotzsky’s, cold and boring sandwiches are now a thing of the past. Customers are welcomed with freshly-baked breads, delicious sandwiches and so much more! True to their slogan, Schlotzsky’s offers a “Lotz Better” option at an affordable price. In Schlotzsky’s, whether you’re ordering for an individual meal or for catering sets, services are tailored to meet and balance your quality and budgetary needs. A quick call at Schlotzsky’s catering hotline 1-855-DELIVER (1-855-335-4837) or a view to their catering site https://ordering.schlotzskys.com/, customers can avail of the wide selection of dishes offered. Customers are required to create individual accounts so that they can order online. These profiles are stored with the customer’s order history that allows for repeat customers to easily place new or repeat orders. Catering quotations can also be requested through the website. Menu variety is vast in Schlotzsky’s from single boxed meals perfectly proportioned to your likings or pre-set group meal trays with an assortment of salads, soups, sides and dessert designed to complement the Schlotzsky’s sandwich. The most ordered product by far is the Signature sandwich tray with an assortment of sandwiches, pickle spears, hot sauce, and mints. All sets come with plates and napkins. Orders range from $10.00 for single set meals to $99.00 for party trays enough to feed a group of 20. Catering orders though are subject to a minimum order amount of $50.00. Delivery charges vary depending on the locations orders are placed. Schlotzsky’s Kudoz Rewards system also entices loyalty from customers by showing value and appreciation with their patronage. Good food, great service and rewards encourage the customer to come back. Satisfaction is always guaranteed with the efficient catering delivery service and the reasonably priced goodies too. Dishes are prepared fresh every day and made with premium ingredients. “The Original” which brought Schlotzsky’s fame remains to be the crowd favorite. Delivery service with Schlotzsky’s is also remarkable. Customers are guaranteed with confirmed order requirements and on-time delivery. Aside from efficiency in service, Schlotzsky’s is also known to give the same value service for both advanced and short notice orders. They are able to accommodate last minute order when others cannot and quality measures are the same for both.